At Bosch Car Service Ringwood we promise that all parts are fitted correctly and are suitable for purpose. All parts supplied carry specific manufacturers warranties which apply for a specific number of kilometres or period of time. We also take our obligations and guidelines that we are governed to follow very seriously. 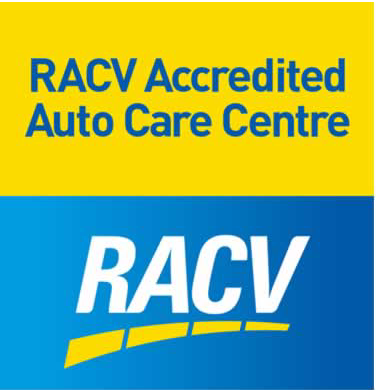 We follow the guidelines of RACV as listed below. “We’ve been bringing our vehicles to Luke for the best part of 10 years. We currently bring 10 vehicles in for regular servicing. The main reason use Bosch Car Service Ringwood is that we know Luke is honest and reliable. If there is a problem with one of the vehicles, Luke will normally call me with a minimum of 2 potential solutions and the pricing required already sorted out. He will explain the possible solutions in layman’s terms and the associated pricing. It is then a simple and easy decision to make. “For years I have trusted my classic and everyday vehicles to the care of Luke and all the fabulous staff at Bosch Car Service Ringwood for all types of repairs, maintenance and service and I’ve always been extremely happy and satisfied from a replaced globe to a replaced engine. The excellent care, prompt service and what we all want most of all, the very reasonable prices are second to none – an extremely difficult package to come by these days! What makes a huge difference is that Luke is always there if I need him in person or by phone, and goes the extra distance regarding communication and explanation in a thorough easy to understand concise terminology. “I’ve been extremely pleased with my dealings with Bosch Car Service Ringwood. Luke Cefai and staff have made me feel like a valued client each time I’ve taken my vehicle to them and the service I received was delivered in a friendly and professional manner. Luke Cefai’s technical knowledge of my vehicle and his immediate and accurate diagnosis of each problem was very impressive. Prior to finding Bosch Car Service Ringwood, I had been dealing with a well known automotive franchise whose services were extremely poor in comparison to Bosch Car Service Ringwood’s. “I have had my car serviced at Bosch Car Service Ringwood for quite a few years now, and I have always found the team to be very professional. When I pick up my car Luke always takes the time to explain the repairs / maintenance he has done, and we often talk about what may be required in the near future so there are no surprises. He understands that like many people I’m on a budget month to month, so we discuss which repairs are urgent and which can be put off until the next service.